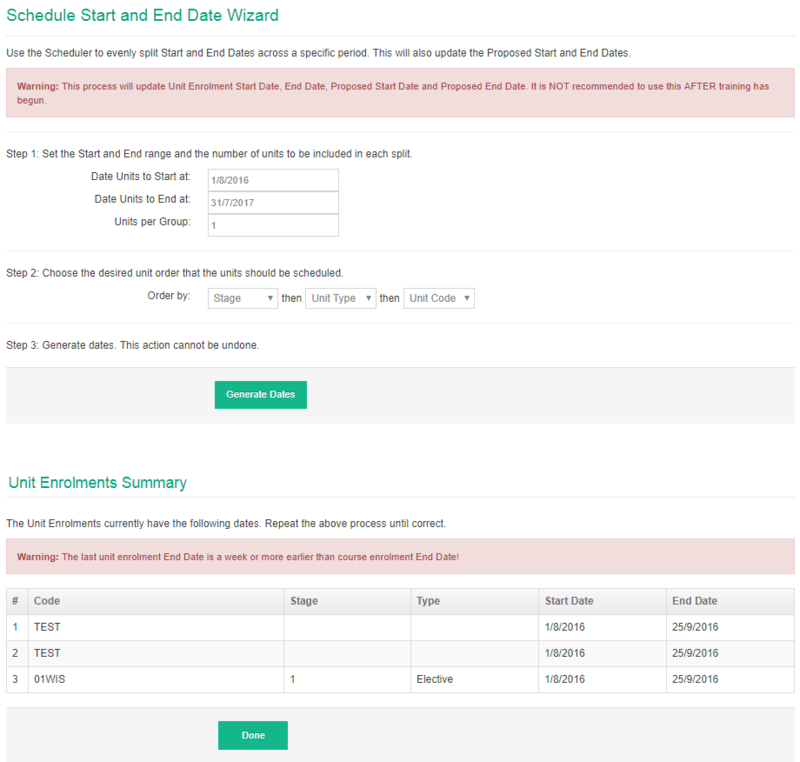 The Bulk Schedule feature allows you to select Unit Enrolments and schedule Start and End Dates which can be evenly split across a specific period. Enter in Date details. The total date range for Units selected. Enter Units per group. This will group the number of Units to have the same Start and End date. Stage. This will have to previously been indicated at the Unit Offer. The dates for each Unit will be evenly spread across the Start and End dates. Any Unit Grouping will have the same dates.